Thank you for your interest in the Keshe Foundation and Spaceship Institute. It is our fondest wish that, from this moment forward, our mutual/collective efforts will not only benefit mankind but help you and those in your sphere find joy and meaning in our journey together. We have chosen a spiritual approach as a preferred methodology for Introducing Keshe science and the incumbent technologies that flow from this source. The reason for this may not be clear to you at this time, but we believe it will all come into focus quickly. The world where technology and money, or technology and military power, and Keshe based technologies can be seen in this manner, is not going to abide. Politics, planetary power struggles, which lead to human slavery, ignorance, starvation and suffering, all this can and will change but those who, out of ignorance will do anything to hold on to the whip, who choose darkness over light, will not surrender easily. 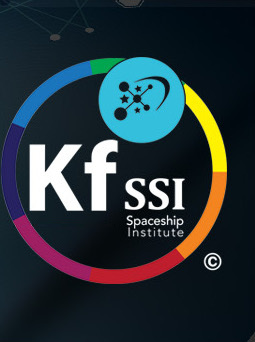 Within the Keshe community, which includes the Keshe Foundation Spaceship Institute family, there are many opportunities for all to participate and contribute based on a variety of factors. Defining those factors requires us getting to know you as well as possible yet respecting your personal privacy and value as an individual. It is not our intent to exclude people whose lives have been defined by challenges. It is not our intent to judge. We have long learned that the least of us may well be at the forefront and if that is your destiny, the Keshe family may serve you well. It is also our purpose to keep the Keshe family a safe and secure environment. Please supply the following information being as accurate and complete as you can. Please provide atleast 2 character references, who can speak on behalf of your character, work ethics, and experience.